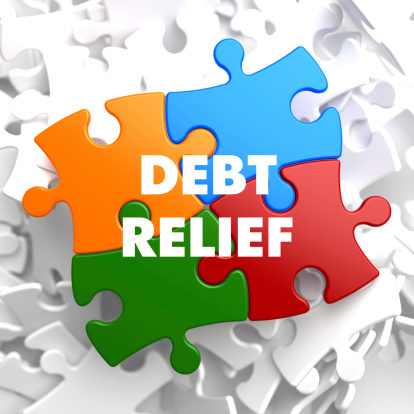 Do You Need Effective Debt Relief Solutions? There is a negative stigma that is associated to people who are in debt, but debt really can happen to anyone at any time. A prolonged spell of unemployment, a serious illness, and other life events can quickly eliminate months of savings until there is only debt remaining. For those seeking debt relief, there’s good news for you. A Clarksville attorney that specializes in effective debt relief solutions can help you find the way toward the light at the end of the debt tunnel. Find out what help you could get by taking advantage of a free consultation right now! Why Is Finding Debt Relief So Important? provide an inaccurate picture of your ability to manage money. The earlier that you can find a pathway that leads to debt relief, the stronger your financial future is likely to be. Although you can’t always change the level of income that you have to pay down debt faster, there are ways that a Clarksville attorney can help you negotiate with your creditors to create better circumstances now. Debt Relief Doesn’t Have To Include Bankruptcy! Many people look for help from an attorney for debt relief help for one reason: for bankruptcy assistance. Although a bankruptcy is an effective way to manage debt, it doesn’t have to be the only method of debt management that is considered. From settlement negotiation to the restructuring of repayment terms, there are a variety of ways a Clarksville attorney that specializes in debt relief can help you right now. Are you looking for the light out of the debt tunnel you’ve found yourself stuck in lately? Then now is the time to take action! A free, no obligation consultation with a local Clarksville attorney can help you evaluate your options, work toward a solution, and it’s all done so that you can experience the debt relief that you deserve. Request a Free Initial Consultation Online or Call Our Offices to schedule a same day in person meeting with one of our experienced bankruptcy attorneys.